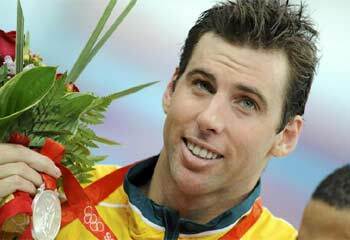 Australian swimming champion Grant Hackett has just flown to the US to enter a rehab in order to get treatment for a sleeping pill addiction. Apparently, this decision to get help came after his family staged an intervention. Grant was initially in denial about having any type of problem, but his family talked him into agreeing to get help. When asked about his trip to America by reporters, Grant told them it was for a bit of rest and relaxation. Grant Hackett is considered one of the greatest distance swimmers of all time. At the 2000 Olympics, he won the 1500 metres freestyle and repeated this again in 2004. He also won plenty of other events before his retirement in 2007. There has been a lot of success in his life, but he also seems to have had his fair share of problems as well. It appears that he had some martial difficulties as the police were called to his home in 2011, with his apartment apparently in a state of disarray due an argument between him and his wife – they have since divorced. Concern about Grant’s well-being began to emerge recently because of his strange behaviour. One incident involved him wandering around a casino half-naked looking for his son. When he was questioned, it turned out he was disorientated. His family discovered that he has been using a type of sleeping medication known as Stilnox, believing he has developed an addiction. The family approached a specialist, which is what gave them the idea of staging an intervention. The generic name for Stilnox is Zolpidem – also known as Stilnoct or Ambien. This is a prescription only medication that is typically used to treat insomnia. It is only recommended for short-term use because it could lead to addiction after only six weeks. There is no evidence to suggest that there is any real benefit to using this substance long-term anyway. poor coordination – the person using this substance can appear drunk. If Grant Hackett has been using this substance excessively then it could easily explain his recent strange behaviour. The fact that Zolpidem is addictive may indicate that he could need rehab in order to break free of the substance. It sounds as if Grant Hackett is still in denial about his addiction problem. The drawback with prescription drug addiction is that it has a horrible habit of sneaking up on people. Grant may have been using Zolpidem initially for legitimate reasons, but he eventually crossed the line into abuse. During his time in rehab, he will be able to safely withdraw from the substance. He will also have an opportunity to spend some time with a therapist to dig down to the root of this problem. It can often be the case that individuals fall into this type of addictive behaviour because of some underlying issue that has not been resolved successfully. It sounds as if Grant will go a luxury facility, so at the very least he will have some time to relax and think about his future.